Congratulations on your engagement! How lucky are you to have found your other half, the love of your life, and the person you want to create memories with forever. This is such a joyous and exciting time in your life and now there are a LOT of decisions to be made! As a wedding photographer, my responsibilities go far beyond just capturing your big day. 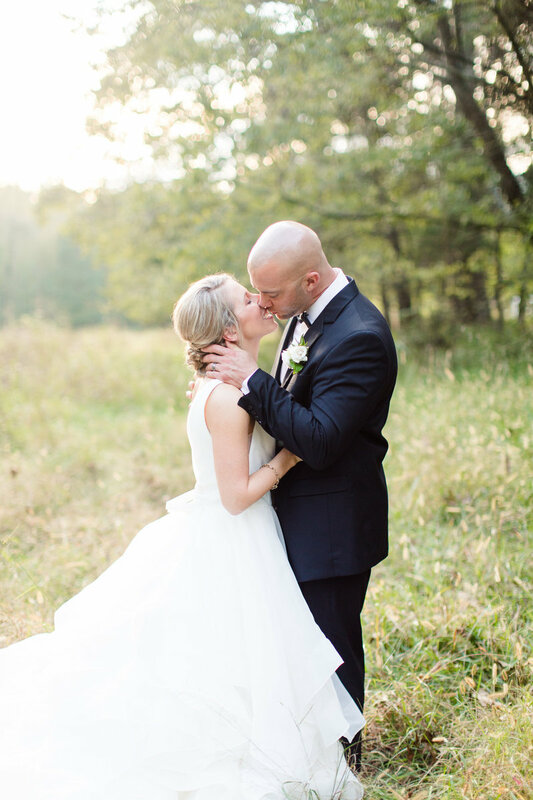 I make sure to create an experience that keeps things effortless and exciting from the day we have our first call to the first time you see your wedding day gallery. I love spending the day alongside my couples and making sure that it is captured exactly as they pictured it. My goal as a wedding photographer is to deliver more than just beautiful, bright photos of your day. I want each of my couples to walk away with an experience that makes them feel and look as natural and in love as they feel with each other. That is why I make sure to walk you through each step of the process –– from designing your engagement session, to outlining the timeline of the day, to posing and guiding you through your entire day. This is such a joyous time in your life and your photos should reflect that! STEP 1: LET'S BE FRIENDS! Let's make this official! We'll make sure your date is secured and start the fun part! You will receive an online proposal where you can review the details and pay your deposit...and you are officially a #DakotaHerseyCouple!!! Now we can talk wedding planning details and engagement session ideas! We don't wait until the big day to jump right in! All of my brides and grooms receive a complementary engagement session. 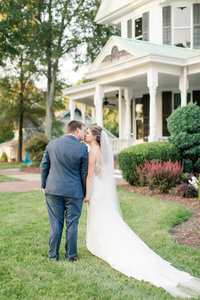 I love gifting this to my couples because it allows us to get to know each other more and they get gorgeous photos for save the dates and their house! We will use this time to get rid of the nerves and learn how to look and feel natural in front of the camera (ps. this make your wedding day so much more fun!!). Step 5: The big day!!! YAY! The big day! It’s time for all of your hard work to come to life, to celebrate with your most special people, and let us get to work! I believe in telling the full story of my couples' wedding days, so I will never shoot less than 8 hours. It is my priority to make sure you will be able to look back on every aspect of your day, from the little details to the looks on your guests' faces, to the sweet moments between the newlyweds. One of my favorite parts of the wedding day is the portrait time with my couples and getting to meet their families and best friends!! This is one of my favorite parts of the process! After your wedding day is over and you are enjoying your honeymoon, I will be working to select the best photos from your day, edit them, and deliver them to you in a beautiful, easy-to-use online gallery. From there you can download, share, and order prints––and relive this wonderful day over and over again! If you are interested in having your memories preserved in more than just a digital format, we will talk through your album, canvas, and print options to get you exactly what you are looking for. I encourage all of my couples to go beyond the screen and make sure their images can be enjoyed in their homes. The moment when you and the love of your life become one is so incredibly special. So is making sure that you're able to share your joy and excitement with all of your friends and family! That's why I work tirelessly with you to make sure that after we have talked through every detail of your day, I provide an experience on the day of that provides excitement to keep energy high and comfort when things may not go as planned. You spend more time with your photographer on your wedding day than anyone else so my mission is to be the person that is exactly what you need when you need it. All packages include a complimentary engagement session, 8 hours of wedding day coverage, a second photographer and an online gallery full of all your high-resolution digital images to download, print, and share. Bridal sessions and custom, handcrafted keepsake albums are at an additional cost. The Dakota Hersey Photography Wedding collection begins at $2,800. I am so looking forward to hearing from you and capturing the joy and love between you and the love of your life! My top priority as a wedding photographer is to ensure that I am a perfect fit for each of my couples. Because of this, I only take a limited number of weddings each year. My ultimate goal is to provide you with an amazing experience throughout your planning and on your wedding day, and the first step is to ensure that I can serve you well. Fill out the contact form to inquire about your day, or contact me directly at dakota@dakotaherseyphotography.com.